WHAT MAKES THE FA CUP SO SPECIAL? There's never a dull moment in the FA cup, but what is it that makes this English Championship so different to other knockout competitions around the world? First held in 1871, the Emirates FA Cup is the oldest football competition in the world. Consisting of an outstanding 737 teams from all over England, this competition is open to any club from the Premier League (Level 1) to Step 6 of the National Football League System (Level 10). Renowned for the amount of shocks that it provides, over the years many lower league teams, or "minnows," have been labeled as "Giant killers" for knocking out Premier league sides. It is the magic of the FA Cup, known worldwide as one of the most competitive cups to play for. Read on to find the key facts about this competitive competition so you don’t make any mistakes while betting. You can become rich! Full of surprise upsets, most years a top division team can be beaten by a much lower tier team, who can sometimes even win the cup! Did you know that Wigan Athletic won it against Manchester City in 2013? Portsmouth also beat Cardiff in 2008 to claim their first title. Anything is possible. One reason for that is because managers give younger players a chance to show their worth. In the early stages of the cup, it is ideal for bigger clubs to integrate their youngsters with some of the established players. A manager must be careful not to play too many young players as this increases the chance of a cup upset. Also, with the FA Cup 4th round usually scheduled for mid-January, players will have already played a lot of games throughout the festive period, as many mid-week games are scheduled. Managers will have to manage their squads, trying to rest players while also needing to field a strong team so they don't get knocked out prematurely. Being drawn away can also be a big issue for premier league clubs. The small stadiums and poor-quality pitches make it difficult for the big clubs, with a hostile home crowd in the background trying to make it worse. Such is the beauty of the FA Cup. Manchester City are eyeing up a historic quadruple in English football this season. Whether this ambitious dream will come true or not is a big question, however they are undoubetdly bookies favourites to take the FA Cup back to the Etihad this year. Then again, this is the FA Cup, and it would not be the first time that City lost to an Underdog in the final of this competition. Still, should they continue the run of form they've had in recent weeks, it seems that they'll be a shoe in for the FA Cup title. 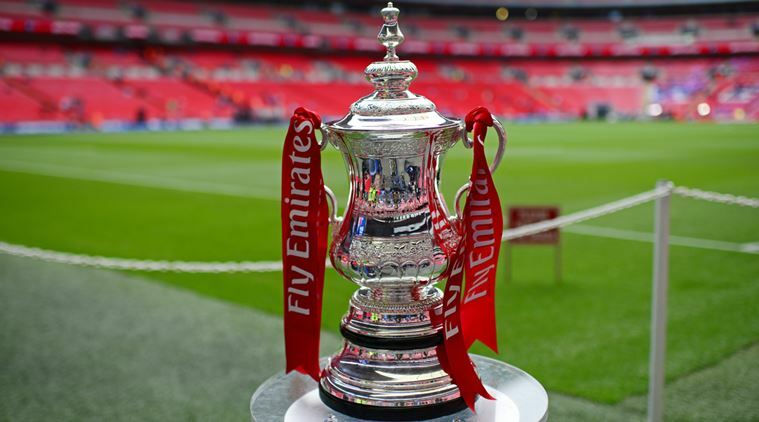 The FA Cup is known to be a competition that favours the Underdog, with no shortage of upsets against big name Premier League teams being seen in recent years. In a competition where surprise victories are to be expected, Watford will be hoping to emulate Wigan and provide us all with another shock in this year's final. Can the Hornets suprise us all and take home the FA Cup for the first time in the club's history?